Outside of a cancer diagnosis, there are probably few things worse than suffering through the pain of a migraine headache. Migraine headaches are estimated to be the third most prevalent “disease” on earth. This article will share an excellent recipe for quick migraine headache relief using just three essential oils and some other common household items. Migraine headaches are incredibly debilitating. It is estimated that millions of man-hours are lost every year by workers suffering from migraine headaches. In the USA alone, 37 million people suffer from migraine headaches. More women than men are afflicted with migraines, and they are generally aged between 35-55. Migraines can and do appear in much younger people, some in their teens. Research shows that 91% of migraine sufferers have to miss work and are unable to function normally during an attack. That’s a lot of suffering! For some people, preceding the intense pain of a migraine, visual disturbances can be experienced. One might notice the appearance of an aura or little cross-hatches or jagged lines in the visual field which alert that a migraine is on the way. Once the migraine takes hold, in addition to the pain there might be acute sensitivity to bright lights or loud sounds. There may also be throbbing pain in the head, nausea and vomiting, blurred vision, and a whole host of other unpleasant symptoms. Put the ice cubes and the drops of each oil into the bowl of refrigerated water. Stir briefly to mix. The oils will float on top of the water, but that’s okay. Place the washcloth into the oily, icy mixture then place the cloth on the patient’s forehead, being careful to avoid the eyes (always keep essential oils away from eyes). The cloth can also be applied to the sides of the neck where the carotid arteries lie. When the cloth warms up, dip it into the icy, oily mixture again and keep reapplying until the headache abates. It’s actually quite stunning how quickly it works − usually inside of 10 minutes! Marjoram (Origanum majorana) essential oil is a well-known natural analgesic − it helps to relieve the pain of a headache. It is also an anti-spasmodic so it helps to relieve the tight, sore muscles that generally accompany a migraine headache. Ginger (Zingiber officinale) essential oil helps to relieve the nausea associated with a migraine. Ginger has been studied extensively for its effect on the gastrointestinal tract. It has been proven to be extremely effective for relieving nausea and vomiting. Ginger also has pain relieving properties. Peppermint (Mentha piperita) essential oil helps with pain relief. It is a natural anti-inflammatory and digestive aid. Peppermint quickly helps to ease the pain and nausea associated with migraine headaches. The application of ice seems to work in three different ways. Firstly, ice helps to constrict (tighten) the blood vessels of the neck and head, a process called vasoconstriction. The resulting decreased blood flow helps to ease the pain of a migraine. Secondly, ice inhibits a person’s ability to feel pain, which is known as analgesia. It is thought that ice slows the message of pain along the nerves. Thirdly, it is believed that ice has an effect on the endocrine (hormonal) system, that it could be decreasing the activity of enzymes and slowing metabolic activity. Please be aware that there are usually many factors coming into play that are causing migraine headaches in the first place. It is recommended that you seek the advice of your medical practitioner, or naturopath, to discover why you are having migraine headaches. You might also try the services of a trained massage therapist because often trigger points can develop in the neck muscles that create neck and head pain. A massage therapist can help get rid of trigger points and ease tension in neck and shoulder muscles, thus helping to alleviate frequent headaches. Another helpful natural remedy for migraines is to consult a chiropractor or osteopath. Spinal misalignment can also lead to migraine headaches. Chiropractors or osteopaths are able to correct these misalignments. A combination of regular chiropractic and massage visits plus using the above essential oil recipe can be very powerful help for migraine sufferers. Be sure to purchase only high quality, medicinal grade essential oils from suppliers who use organic growing procedures and proper distillation methods. Quality varies widely in essential oils, so it’s important that your supplier knows what they are doing when growing and distilling. Ask lots of questions and only buy from a trusted source. Author’s note: My husband had been a migraine sufferer for years. It was heart-wrenching to watch him suffer the agony of these headaches − some so intense that he was in tears. Once I began using this recipe with him, however, we were quickly able to stop a migraine. It usually only takes 7-10 minutes. The word “gratitude” does not adequately convey the depth of my respect (and relief!) for the incredible healing ability of essential oils. There are probably few things worse than suffering through the pain of a migraine headache. Migraine headaches are estimated to be the third most prevalent “disease” on earth. Research shows that 91% of migraine sufferers have to miss work and are unable to function normally during an attack. 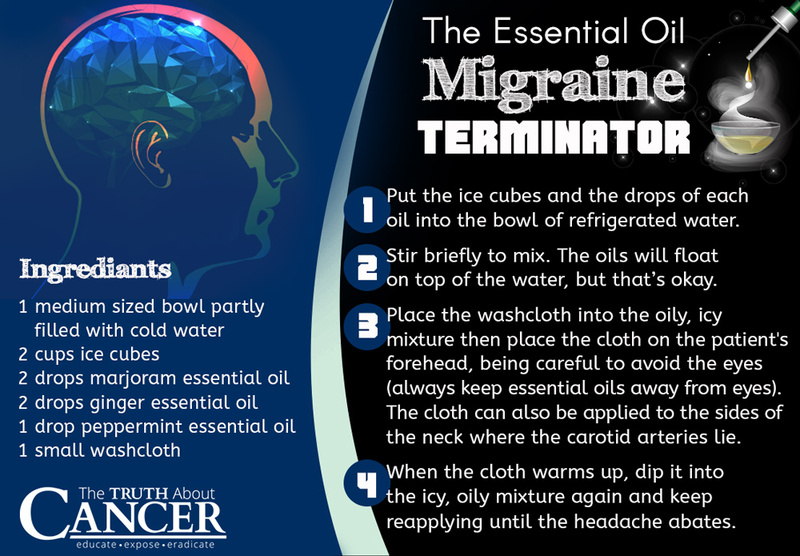 The 3 essential oils used in the migraine headache relief recipe are: marjoram, ginger, and peppermint. Another helpful natural remedy for migraines is to consult a chiropractor or osteopath as spinal misalignments can also lead to migraine headaches. Chiropractors or osteopaths are able to correct these misalignments. A combination of regular chiropractic and massage visits plus using the above essential oil recipe can be very powerful help for migraine sufferers. To stop a migraine in its tracks, at least for the two of our family members who have migraines or visual disturbances linked to migraines: a single homeopathic remedy, Iris 6c, available at health food stores. Take one to three pellets at the start of the migraine; repeat once if necessary, but in our experience it has not been necessary to take more than one dose. I have never known it not to work. Migraine is psychosomatic. It can be solved with Dianetics auditing.The cause is to be found found is in the base-base engram. So I lost migraine ! That is true and most people don’t know this, but herbal remedies are also healthy and good for the body and believe it or not but also for the mind to some extent as they make you feel better, especially when handling the intestines or the brain as this affects the mood. Naturally with Dianetics auditing you get to the first root cause of problems and also of things like migraines, asthma, bad vision etc. so it is very good that you are willing to share this experience. We should have more auditors, home herbalists and master herbalists (in every community) and society and people would florish and prosper. I do not very often get headaches. Whenever I get headaches, I feel pain and discomfort. It feels that it ruins the rest of my day. I do not whether it is migraines. I take tylenol for my headaches and my headaches disappear immediately, even when the day is not finished yet. Tylenol NEVER helped my migraines. Migraines are severe. My mom had to shower and whisper if she was near me because smells, light, and sound could cause even more excruciating pain. I also had the auras. The day following my migraines I would look worn down, tired and drugged. I had suffered migraines since I was 3 years old. This was confirmed by my neurologist. My experience is very much like this, I had debilitating migraines for decades that would last for up to 4 days with vomiting, severe pain and no relief . And yes I also felt like a zombie, worn out and unable to concentrate for a day or two and pale skin tone. As well as one droopy eye. You could take one look at me and know something was seriously wrong. I’m 60 YO now and the migraines are much fewer and less debilitating. A hysterectomy at 40 did not make any improvement. Tylenol has never even touched my migraines. I am 79 now and they are rare now. I have had them since age 13. They come mild to severe. Severe includes droopy eye, light and sound. I also had 4 heart attacks starting at age 55 called prinzmetals angina which the doctors said were directly related to the migraines. (a close spelling of the heart attack if not perfect) This type of heart attack is like the migraines the doctors said. They cause the blood vessels to constrict …….nothing to do with build up in your veins. Keep the information in mind. cindybiggy, maybe my headaches that I had were not migraines, because I do not very often get them. Sometimes smell of food and other stuff in buildings, stress, very hot heat, overworking, and very cold weather could give me headaches. My mother had a lot of headaches and she had been having them, since she was a little girl. Whenever my mother took Tylenol and any other sort of headache medicine, her headaches did not go away immediately. They lasted whole day. She would just lie in bed with the light off and close her eyes to try and get rid of her headache. She said that she had sinus problems that caused her to have headaches. I suppose that we are all different. Essential oils can be dispersed in water by using honey or full cream milk.Safer this way than having the oils over-heat/burn the skin. 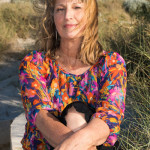 I have sufferred from migraines for many years and tried many remedies…. None have worked. The one thing that has worked like magic is Raw Pumpkin Seeds. I eat one tablespoonfull of pumpkin seeds as soon as i wake up and beleive it or not, my migraines have GONE! It is the Zinc and Magnesium in pumpkin seeds which helps. Can I use lavender oil instead of marjoram? I too am a long time sufferer of debilitating migraines. 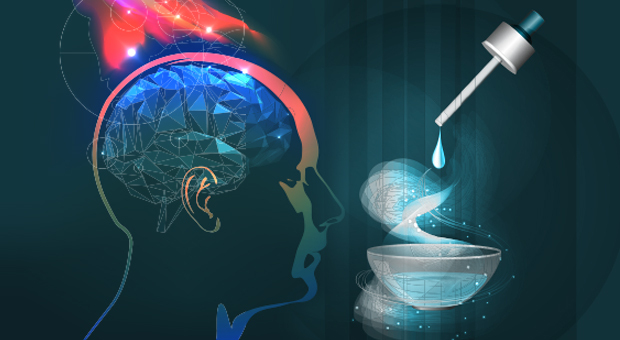 Instead of vasoconstriction with ice I do the opposite with vasodilation by fully submerging my whole body and head in a bath of really hot water for about 15 minutes. I mix essential oils of rosemary, lemon, peppermint and marjoram with a carrier oil and rub over my stomach, liver, neck and forehead after my body is heated and pores are opened to absorb the oils faster. Takes away the pain, nausea and muscle spasms. I believe that opening the vessels allows blood to flush toxins faster and by stimulating bile release from the liver and gallbladder relieves a lot of the problem creating the migraine. This has worked really well for several years to alleviate symptoms and shorten duration although I am still worn out after each episode. OMG that suggestion almost brings on a migraine for me Linda! Heat and migraines don’t mix in my head – I go the ice route. But interesting to hear how individual the cure is for everyone. My daughter gets migraines around the time of her period. I would suggest this to her, however, she is allergic to cold so this probably won’t work for her. Any other suggestions would be greatly appreciated. She breaks out in hives if she is exposed to cold weather, etc. Took 30 years of suffering, before i learned the major cause of migraines. I was getting 3 to 4 migraines a month…each lasting 3 days. The liver produces bile to emulsify fat. I was eating too many fatty foods…and my liver could not produce enough bile. When a migraine occurred, it took 3 days to break down the fat…and the migraines were so severe, I did not feel like eating any food. It has been 23 years, since I stopped eating the foods, which caused the migraines…and have not experienced another migraine. That is very interesting Barbara. What kind of test did your doctor perform for you to finally figure out the cause of your migraines? I too suffer from frequent migraines and my doctor only perscribes meds. I am currently taking Rizitriptan when I feel one coming on. Interesting. Not enough bile! Dr. Christopher speaks about bile, the liver and the kidneys in one of his latest radio shows. I think it is important to cleanse the bowels, the kidneys, the liver and the blood. See this at his http://www.ahealthieryouradio.com/. Doctors don’t study nutrition. It took years to figure out the cause..and since I limited the fat…no more migraines. Each person has a max amount. My max is 22 grams…not the 60 grams that is being recommended. I do ask for guidance…and this is where I received my max. I do think our Creator knows more than any doctor. Barbara what kind of test was performed in order to know my daughter suffer terrible migraines, Iwill appreciate the information to performed her the test. Thank you. Thank you for this recipe. I will share it with my friends & clients. 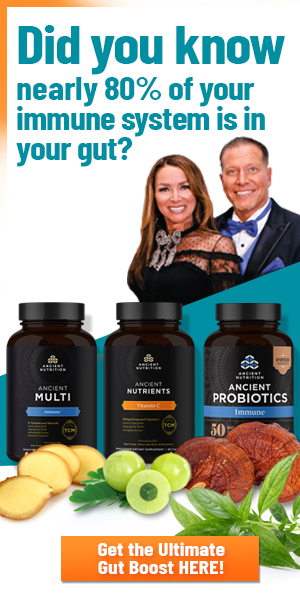 I have had the best success when incorporating a cleansing diet or detoxification program along with an EO protocol. I suffered from chronic migraines for at least 10 years. A year ago, I started using tea tree oil every time I felt it coming on and have not been bed ridden with one in at least 8-10 months. Do u rub tea tree oil on forehead? I have suffered with three day migraines for about 18 years during my periods. I could not do anything during this time except suffer. I had tried different kinds of medication which did not work. I then looked into herbs, but nothing worked long term. I then started taking TS-II from Natures Sunshine for my thyroid. This reduced my migraines to one day instead of three as before. What I do for headache relief now is drink some sweet caffeinated tea, eat a peppermint patty, place a cold dripping wet washcloth on my forehead and eyes, a heated rice bag on my neck and shoulders, and lay down. Much of this was find out by accident. This method works far better then any pain killer I have ever tried. I wish I knew about this 20 years ago. It would have saved me a lot of pain, suffering, and frustration. Years ago, I ate a lot of fiber-rich cereal each night to avoid migraines. Then I switched to chelated magnesium (Carlson’s) 400-800mg daily (build up slowly). I later found that CoQ10 was one more step to avoid migraines. Now I suffer headaches only when I forget to take these supplements. I guess it is plant derived, as it comes from an old underground sea, which is better than metallic or chelated, much smaller molecule size that can go into the tissues and don’t cause build up or harm, only do good. I suffered for 38 years with very bad migraines and then decided to record everything I ate and finally discovered that iceberg lettuces were the cause. I stopped eating lettuces and have not had another migraine attack. It is the white sap that you get in the iceberg lettuce that causes the allergy and migraines. I now use baby spinach leaves in my salads. Conventional salad and leaves can have glyphosate or other chemicals on every leaf. I never buy them. But I ate it outside – I will check if I get it too. I had migraines rarely. Hi Patty, I also suffer from them around the time of my period. I’m not sure if this is an option for your daughter but my doctor put me on birth control to help balance out the hormone fluctuation that happens around that time and since going on it I haven’t had any migraines. Such medicines are not healthy in the long run. You could try and find a good formula with medicinal herbs from Herbal Legacy and Dr. Christopher. Shailas where do you get raw pumpkin seeds? From a pumpkin itself ? And do you just wash them and chew a few up? I suffered from migraines since I was 10. My mum and her mum before me. sorry, but I have tried every natural approach with no luck. And maybe you had luck cutting down on fats, but I don’t believe that’s the answer for everyone. I went on antidepressants 16 years ago and haven’t had a migraine since. I’m now off them (one week now – doing neuro feedback instead), and I’m hopeful they won’t come back. The spice called Mace, which is the outer red covering of nutmeg, helps get rid of migraines fast with just a pinch of it placed in the mouth. By fast I mean that most people feel a change in 5 minutes and then the headache is gone in 15 minutes. Few people have an idea how the organs in their body work. The liver has many functions; one is to help cleanse the blood and another to produce bile to break down fat (emulsify it). Excess fat in one;s diet overwhelms the liver’s ability to get rid of the fat. . Excess fat in one’s system causes migraines. I suffered 30 years, until I stopped eating cheese, nuts, seeds and other non-essential foods. I have not had one migraine in the last 23 years. Taking a remedy does not solve the problem. It is simply treating a symptom. The human body was not designed to eat too much fat. Treating symptoms will not serve humans well longterm. It may have a result and remove pain, but the body will still continue breaking down, until the actual cause is removed. I wrote September 30th, 2016 that women need 25-30 grams of fat…I meant protein. Women need actually 20 – 24 grams of fat daily. The standards are all off’ designed to sell more products. If people ate enough of the right foods, they would not need drugs that break down the human body. I do use supplements to make sure I get enough B12 and B Complex which eliminate the need for antidepressants, which damage and age the human body. It is a shame that doctors don’t have better nutritional info. I guess it is because it would eliminate prescriptions for drugs that bring you into their offices. Hi Patty – my daughter suffered from cold uticaria (allergy to the cold) as well. After a couple visits to our naturopath, he was able to alleviate her allergy and she no longer has any issues with cold. You will have to seek out a naturopath that practices allergy elimination. Good luck! Thanks Theresa! I love homeopathic remedies!